A disabled peer has appealed for more than 10 000 people to put their names to a new campaigning charter, in order to pressure health bosses and politicians into improving England’s much-criticised wheelchair services. 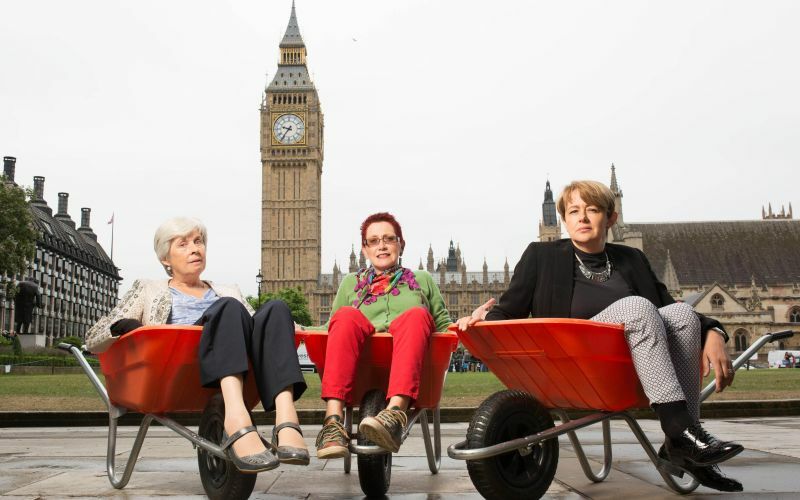 Baroness [Tanni] Grey-Thompson posed for pictures outside parliament in a wheelbarrow this week (pictured, right) to highlight how many disabled people are being provided with inadequate wheelchairs by the NHS. The retired Paralympian and now crossbench peer was at the House of Lords with other members of the Wheelchair Leadership Alliance (WLA) – which was set up with NHS England funding – to launch a new Wheelchair Charter. The charter asks service-users, wheelchair-providers, charities, NHS commissioners, healthcare professionals and members of the public to pledge their support for 10 key principles that the alliance believes could transform the service for the 1.2 million wheelchair-users in England. But Baroness Grey-Thompson told Disability News Service that the alliance’s new Right Chair, Right Time, Right Now campaign needed the support of thousands of people in order to persuade MPs, ministers and England’s new clinical commissioning groups (CCGs) to act. But she said the ideal outcome would be for health secretary Jeremy Hunt to agree to include strict standards for wheelchair services in the next NHS Mandate, the annual agreement that describes what the government expects from the NHS. She said: “We can’t force NHS England to take up recommendations. We need enough evidence and support to get wheelchair services into the NHS mandate. Baroness Grey-Thompson, who chairs the alliance, now plans to seek backing from health teams across political parties. Those who sign up to the charter pledge their commitment to principles including: regular reviews with the wheelchair-user; prescriptions which take into account “current and future needs”; the time from referral to wheelchair delivery to be within 18 weeks, with “further substantial improvements by 2016-17”; and “equality of access and provision for all, irrespective of age or postcode and including essential user skills training as standard”. Baroness Grey-Thompson said: “For too long, wheelchair services have been inadequate and it is time that wheelchair-users are listened to and provided a proper service, rather than being marginalised. 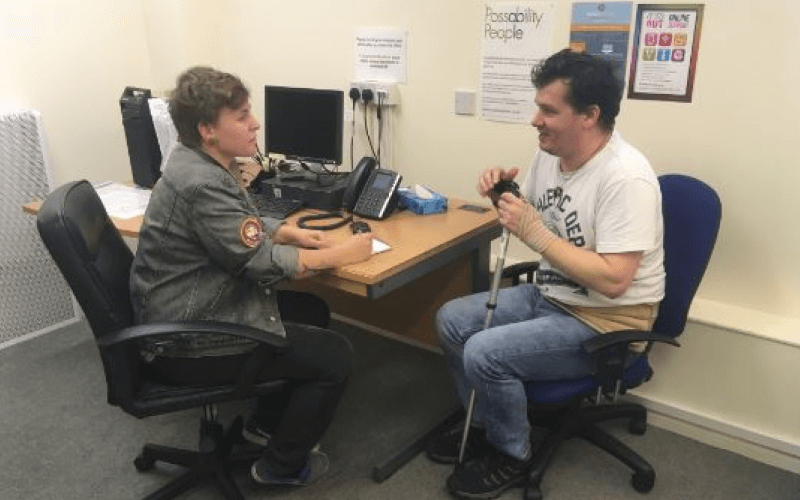 “The huge variation in quality of services across the UK is astounding, and means a huge proportion of wheelchair-users are left immobilised, frustrated and ignored. Sir Bert Massie, the former chair of the Disability Rights Commission, who chairs the Community Equipment Code of Practice Scheme (CECOPS), said he feared the charter would not be strong enough to force improvement. He said that what was needed was “a proper, centralised wheelchair service” with strict standards. He said there was nothing in the charter about the vital issue of funding, and improvements would not be possible without resources. Sir Bert applied for a new wheelchair through his local wheelchair service in February, and will not receive it until October. Liam Dwyer, a wheelchair-user who has previously been critical of NHS England’s wheelchair services improvement programme, said the charter was “something that every wheelchair user should want to see”, but he said that “if NHS England and the CCGs don’t get behind it we will have no change”. Dwyer was one of the disabled people asked to attend the first of two NHS England wheelchair summits, in February 2014. The second summit, last November, led to the leadership alliance being set up. An NHS England spokesman said it supported the charter, but could not say whether CCGs would sign up to it. Rosamond Roughton, NHS England’s director of commissioning operations, said: “NHS England absolutely shares the ambition of the [WLA] that wheelchair-users and their families should be supported to lead full, independent and active lives. The new set of data will contain information on how many wheelchairs are provided, how much is being spent across the country, and service-users’ experience of wheelchair services. Personal health budgets (PHBs) are now being rolled out across England, and NHS England also plans to encourage CCGs to explore the possible use of PHBs to obtain wheelchairs, in a bid to provide more choice and control over services. And NHS England will support up to three areas to redesign and improve their wheelchair services, and then make that knowledge and evidence available to other areas. The charter and campaign is only the latest in a series of efforts dating back 30 years to improve a service which struggles with lengthy waiting-lists and leaves many disabled people without the right wheelchairs.